Two titles one fun day! 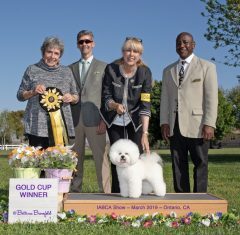 The International Sieger Dog Show! 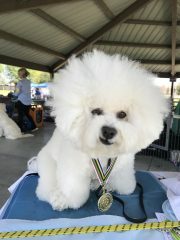 GCH CH IntCH NatlCH HnrCH SHE Bichons Oliver Norse. 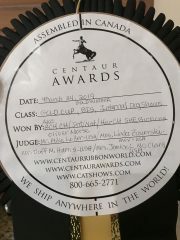 In order to qualify 9 top rated scores were needed from 9 different judges, two being an International. Look at that snarky face…come on, Oliver, you know you love it!